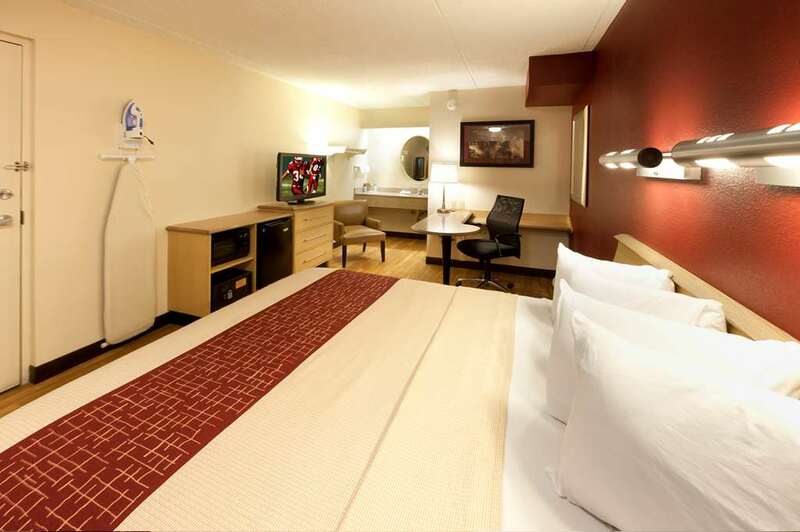 Red Roof Inn Philadelphia Oxford Hill is one of the best budget hotels in Langhorne when traveling to the Philadelphia area with the family. We are located less than a mile from the themed rides and activities at Sesame Place and just 25 minutes from Six Flags Great Adventure! Shop til you drop at the Oxford Valley Mall or Philadelphia Mills. Explore underwater life at Adventure Aquarium and see your favorite animals at the Philadelphia Zoo. Explore the outdoor trails at Neshaminy State Park, Oxford Valley Park, Tyler State Park and Washington Crossing State Park. Go back in time at the Old Barracks Museum and wander through the exhibits at the New Jersey State Museum. Test your luck at Parx Casino or enjoy a live horse race at Philadelphia Park Casino and Racetrack. Enjoy a live show at Cure Insurance Arena and catch a baseball game at Arm & Hammer Park, home of the Trenton Thunder. We are not far from the greens of Oxford Valley Golf Course, the Medical facilities at Saint Marys Medical Center and the flights at Trenton Mercer Airport (TTN) and Northeast Philadelphia Airport (PNE). When you stay at Red Roof Philadelphia Oxford Valley, youre just 1 mile from Sesame Place, 2 miles from the Oxford Valley Mall and 25 minutes from Six Flags Great Adventure! This hotel features easy access to I-95 and a friendly, courteous staff.